Treatment programmes designed specifically around your needs. Helping you achieve effective, long-lasting results, reaching your optimal function and performance. 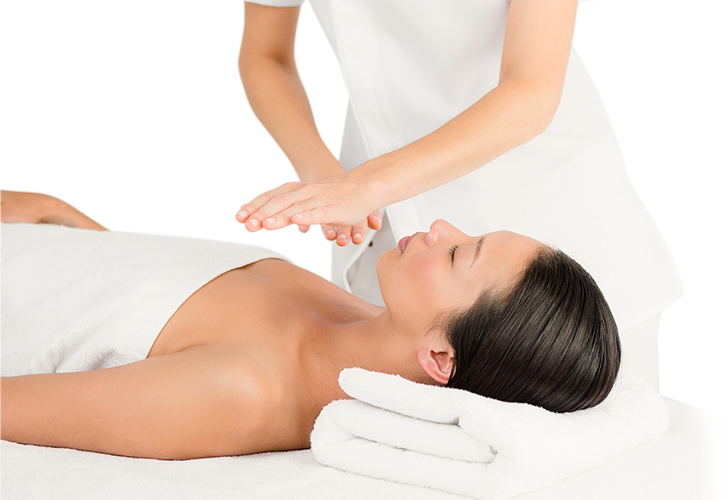 At WhiteTherapy we provide the very best treatments and therapies designed specifically around you. The aim of Chiropractic is to restore the function of the joints, muscles and nerves of the spine and other body parts. Chiropractors are musculoskeletal specialists that evaluate joint function with chiropractic and orthopaedic examination. Areas with restricted joint movement are corrected with chiropractic manipulation, which is the introduction of movement by hand. Manipulation is accompanied by massage, gentle stretching and mobilisation techniques. Over time treatment corrects muscular imbalance and reduces irritation and inflammation. The overall effect is reduction in pain and an improvement in joint movement and function. Exercises may also be prescribed to help maintain recovery and prevent recurrence. Some problems of the musculoskeletal system can be caused by trauma, stress, lack of exercise, poor posture, carrying and lifting, illness and every day activities. At WhiteTherapy all Chiropractors have trained for a minimum of four years at degree level, are registered with the General Chiropractic Council and British Chiropractic Association and undertake continuing professional development to maintain evidence-based practice. A diagnostic approach which makes the patient and their lifestyle the center of focus. Since the osteopath focuses on health of the entire body it is common to treat areas that are connected, but at times far from, the symptomatic area. An osteopath uses soft tissue techniques, stretches, articulations and joint manipulation to rebalance tensions in the body and to promote health. Osteopathy, is one of two Complementary and Alternative Medicines (CAMs) regulated under UK law. Practitioners are highly trained, completing a 4-5year degree and Osteopaths are required by the General Osteopathic Council (GOsC) to comply with high professional development standards to ensure quality and safety. Osteopaths are trained to detect, diagnose and treat an enormous variety of musculoskeletal problems and injuries. Almost everyone can benefit from osteopathic treatment. There are varying aims of sports massage it can enhance sports performance, help with general living for example keeping up with your children or provide more energy to get you through the day. Sports massage is a fantastic therapy to help stop being restricted by injury, aches or pains. Sports Massage includes a variety of soft and deep tissue massage techniques such as: trigger point therapy, soft tissue release, post-isometric relaxation and muscle energy techniques. With these techniques sports massage can improve relaxation, lessen tension in your body, improve your range of motion, break down scar tissues, and encourage blood and lymph flow throughout the body to prevent muscle fatigue and soreness. This treatment can be used independently or in combination with other treatments. Whether working alongside a sports teams or in private clinics, sports therapy can offer a wide array of different services. From injury assessment and rehabilitation to injury prevention, strengthening and conditioning. A Sports therapist can use a number of techniques to relieve your aches and pains and prevent them from coming back. Examples of this include; sports massage, joint mobilisations and exercise prescription. Whether you want to be back at your sport fighting fit or just living your normal life a sports therapy goal focused approach could be the way forward for you, your living and your training. This is a non-invasive complementary therapy; said to use natural energy flow for health and well-being. Reiki energy is said to rebalance the whole person in mind, body and spirit and can be used independently or as a shorter treatment to compliment other holistic therapies. A holistic treatment based on the principle that there are points on the feet, hands, and ears that map via the nervous system to corresponding parts of the body. When pressure is applied to these points it stimulates the movement of energy along the nerve channels and helps to restore balance in the whole body. Involves working the soft tissues of the body, to ease day-to-day stresses and muscular tension, and promote relaxation. It helps to increase delivery of blood and oxygen to the treated areas and can also be used in support of other therapies to assist in the rehabilitation of musculoskeletal injury. This therapy has been used in Asia for over 5,000 years and works specifically on the area surrounding the head, scalp, face, neck, shoulders and upper back. 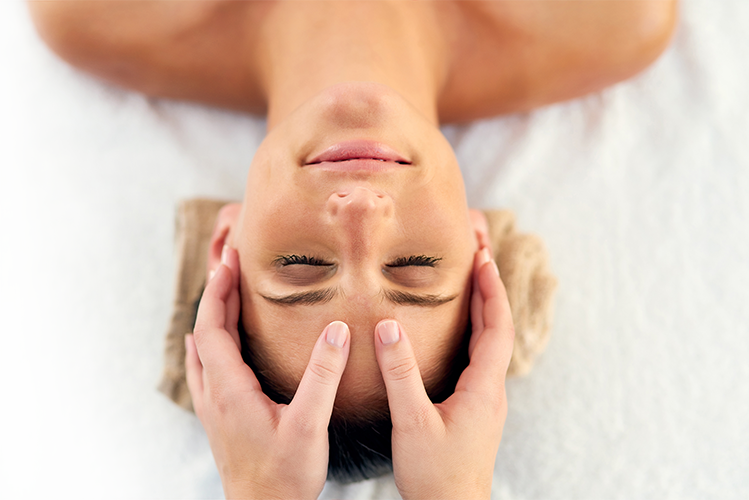 Indian head massage comes from Ayurveda, an ancient method involving natural therapies, which takes into account mind, body and spirit. The 'M' Technique which is a registered complementary therapy, is a series of stroking movements performed in a set sequence at a set pressure and set pace. It is different from conventional massage, as it follows a choreographed sequence of strokes that never changes and works on skin receptors that send signals to the brain, the benefits are remarkable. © 2019 White Therapy. Website by Web Optic.